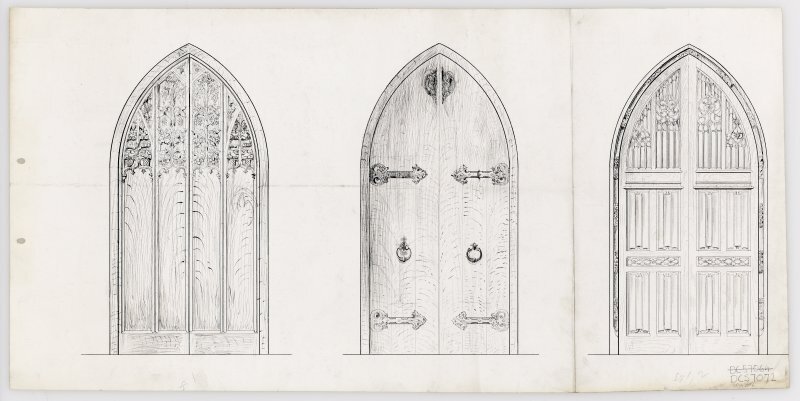 In 1966, when Whytock and Reid purchased the 'good will' of fellow Scottish based designers and makers Scott Morton Ltd, they received the permission to recreate Scott Morton designs and establish connectionswith the company's client base. 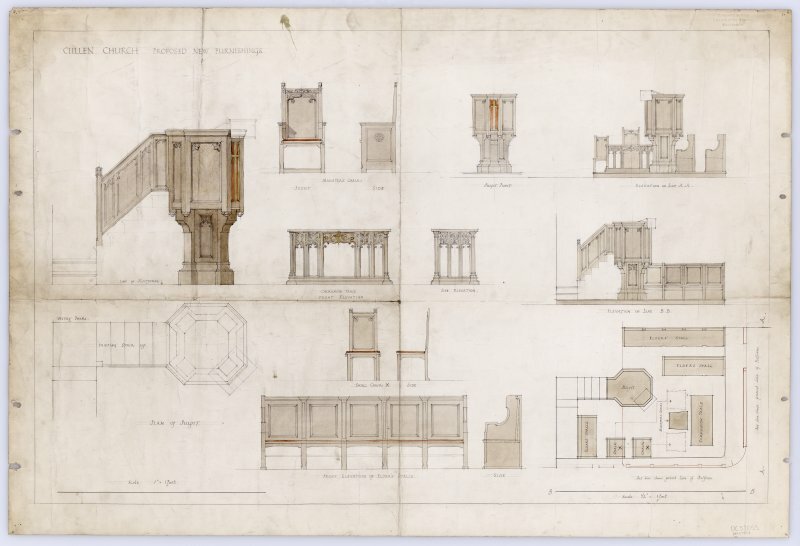 With Peter Miller, Scott Morton's director and designer, now employed by Whytock and Reid the company became involved in designing eccleiastical furnishings for churches across Scotland. 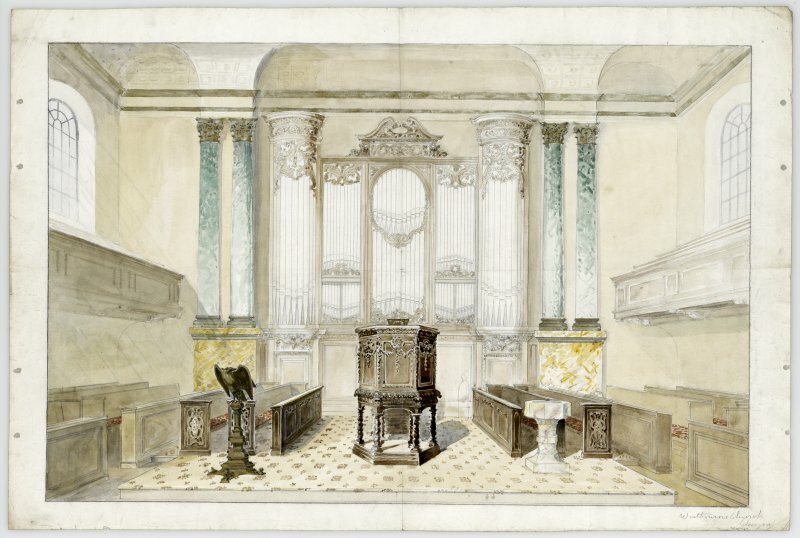 They include some of the most striking images from the collection and range from altars and baptismal fonts to congregational seating. The company had the priviledge of designing and making two sets of embroidered altar hangings for the Thistle Chapel in St Giles Cathedral, Edinburgh. 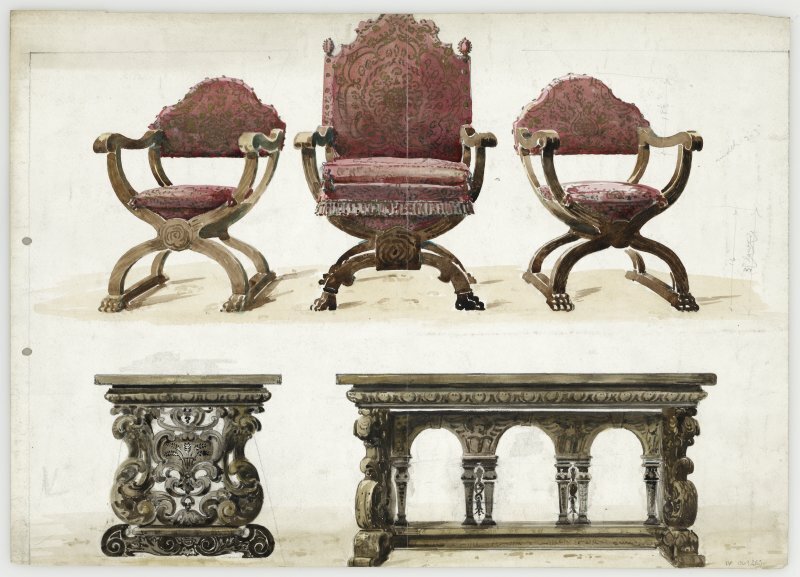 Each of the designs typifies Whytock & Reid's painstaking approach to furnishing, with many of the drawings including beautiful engravings, carvings and plasterwork. 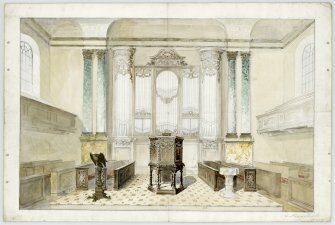 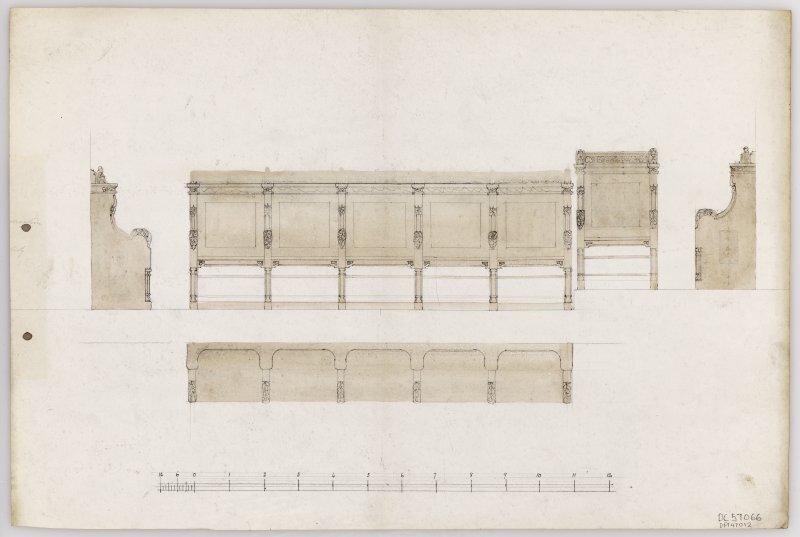 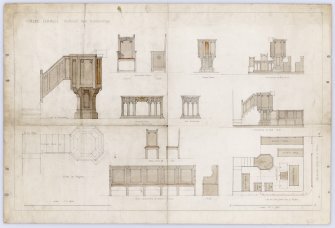 The drawings, often finished in watercolour, show the furniture designs from different perspectives. 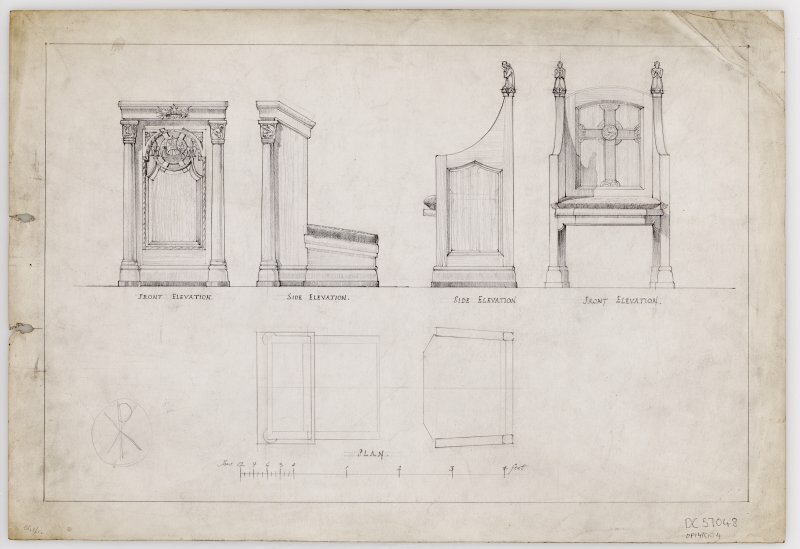 Proposed designs of memorial furniture for Newton Church. Designs for Church furniture altar chairs and table. 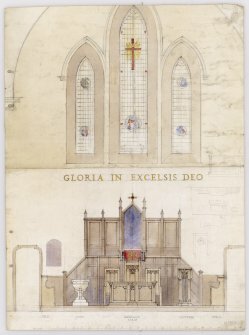 Painting of Westbourne Church, Glasgow interior. 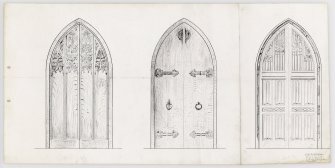 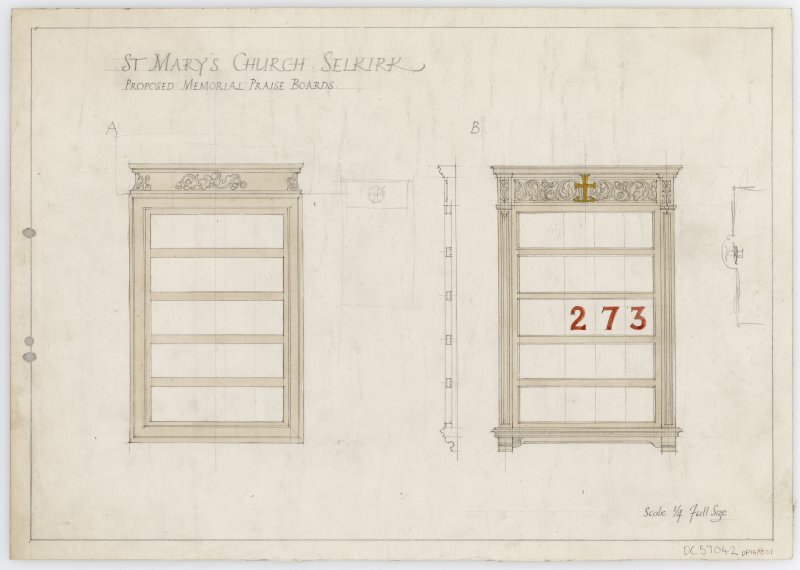 Proposed designs for memorial praise boards, St Mary's Church, Selkirk. 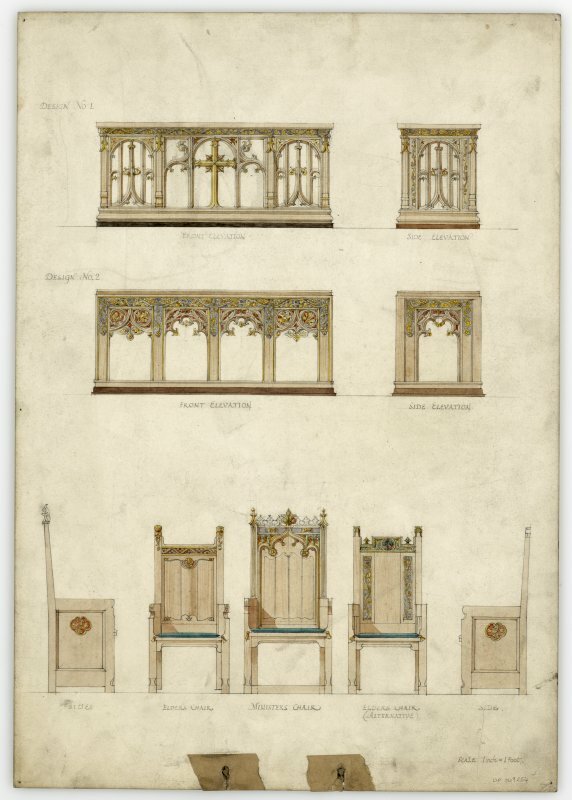 Designs for altar chair and kneeler. 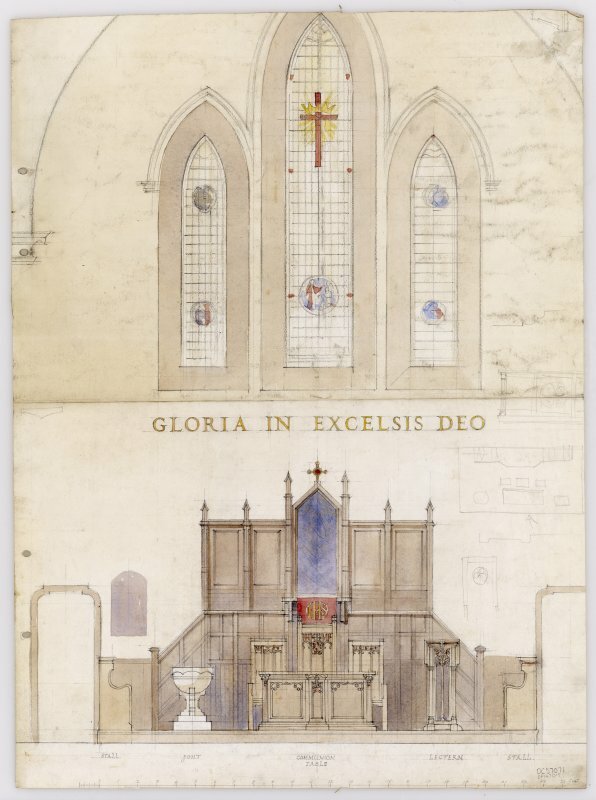 Proposed design of new furnishings for Cullent Church with floor plan. 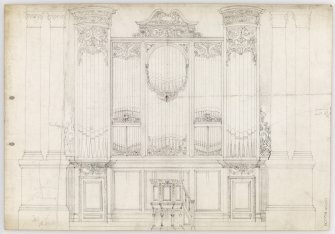 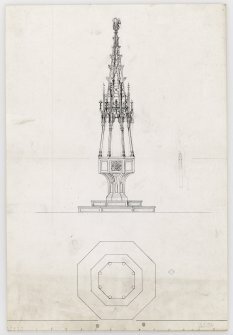 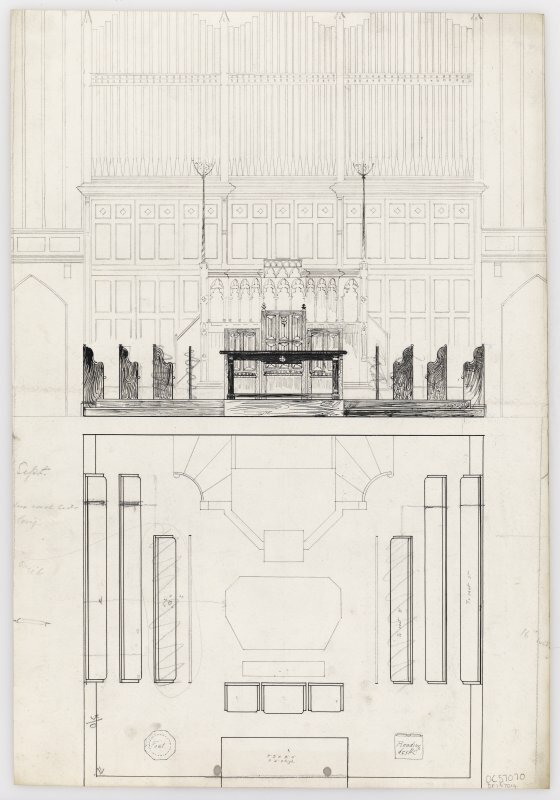 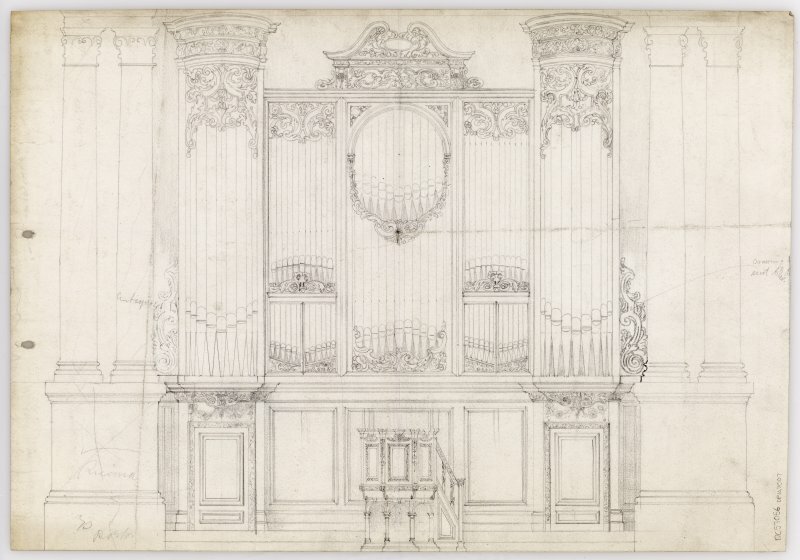 Drawing of design for organ and pulpit. 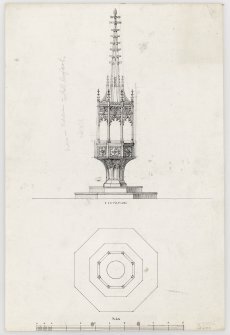 Proposed design of baptismal font with lid. 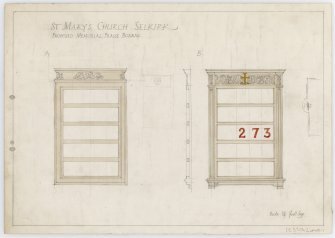 Drawing of designs for church seating. 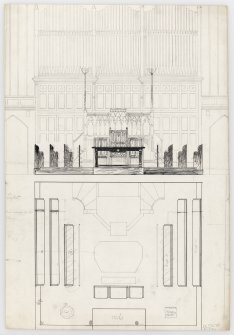 Proposed design for decoration of pulpit wall, Clackmannan Church. 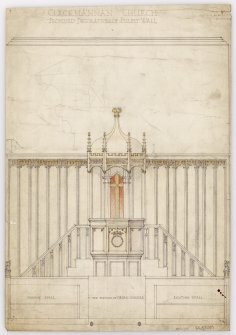 Drawing of design for altar furniture with church plan. 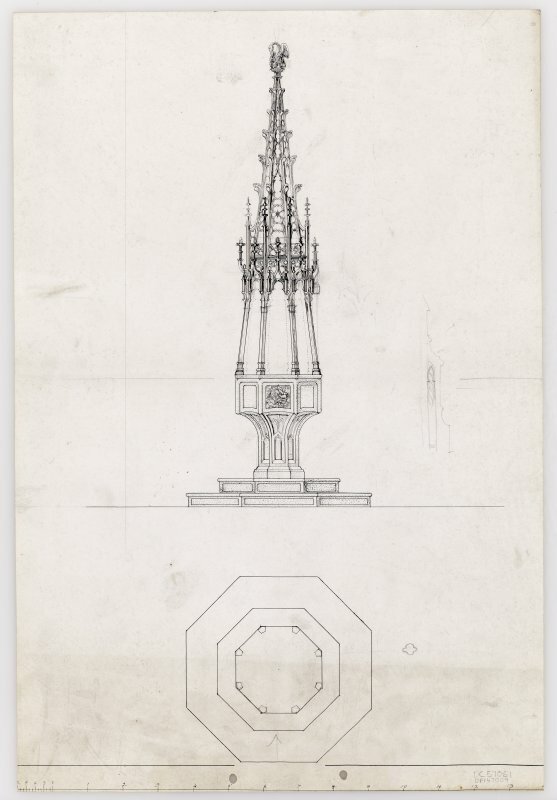 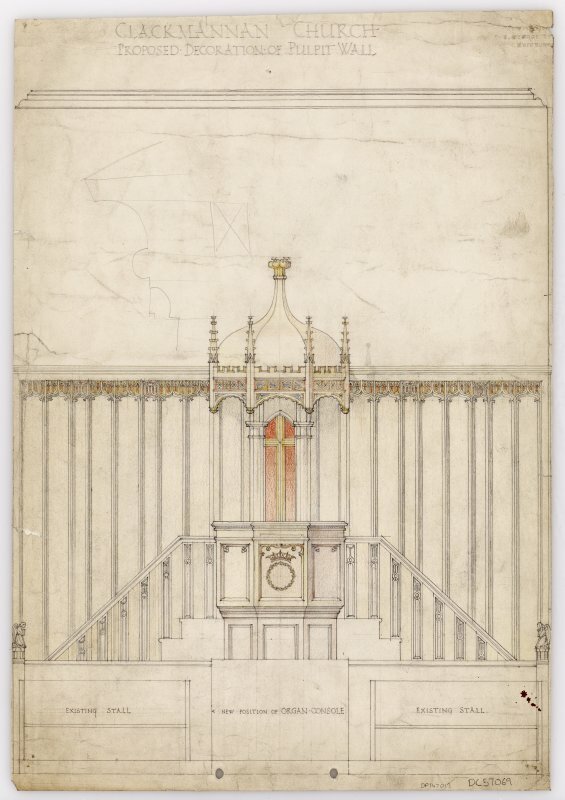 Design for pulpit and altar furniture and stained glass windows.